Kutch carnival is celebrated in December in Kutch district of northern Gujarat, which is also known as Rann Utsav. 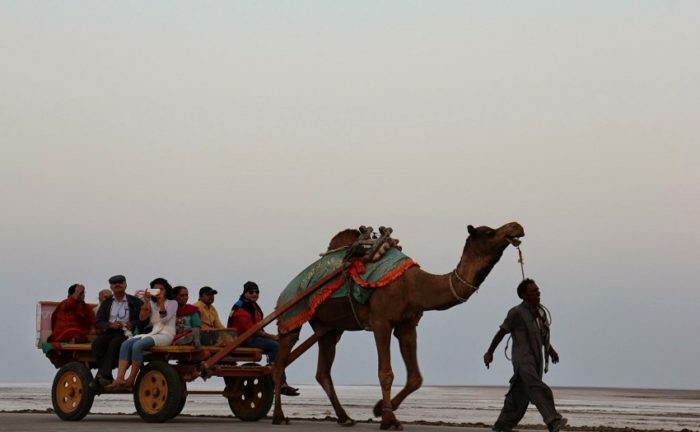 Camel ride can be enjoyed during the Rann Utsav held on Indo-Pak border. Every year there are thousands of people involved in the Rann Utsav. The popularity of the Rann Utsav can be estimated from the fact that the three-day-long Utsav is organized all month now. During this time, artists present a glimpse of India’s history through their art on the sand. For the past years, artists have shown the characters from the Ramayana characters during the Rann Utsav to Swami Vivekananda’s Kutch Tour. 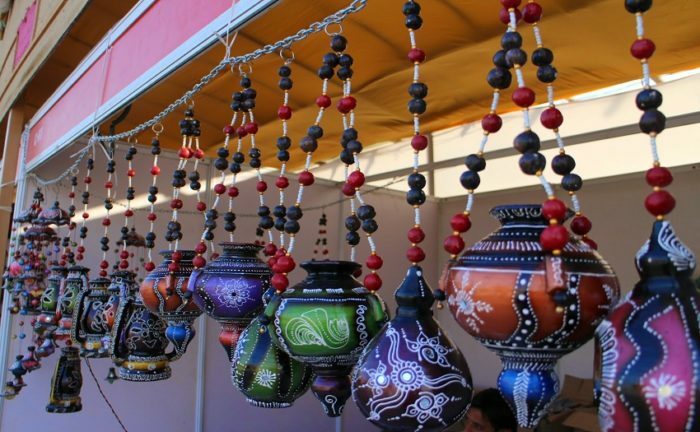 After listening to the name of the Rann of Kutch, surrounded by the Arabian Sea, the picture of the region of Gujarat emerges in Jahan, where residents of the city are famous for block printing, pottery, wood carving and metal craft besides all other craftsmanship. 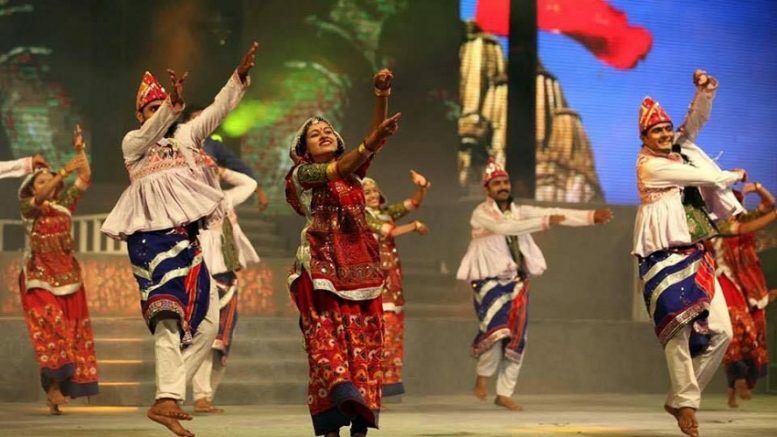 Well, the tourists are being trained for a year, but this area becomes even more vibrant when the three-day Utsav begins by the Gujarat Tourism Corporation. Its main objective is to introduce the tourists to the people who live in nearby villages and work in the villages and are known for their handicrafts. Enjoying the beauty of the sun shining in the moonlight night in the vast field is an altogether different experience for the tourists. Where tourists are housed in all the facilities containing tents. The artistic houses made of clay here are so beautiful that the tourists cannot stop themselves from appreciating. With the arrival of thousands of tourists in the ‘Rann Utsav’, the entire area becomes vibrant. Between the vast turf of Rann, five kilometers away from Bhuj, a huge tourist camp is settled near the village of Dedodi. The artistic houses made of clay here are so beautiful that the lovers cannot stop them from appreciating them. Tourists participating in this Utsav are invited on the first day of ‘Bhuj’ near Karnal organized by the side of Hamirsar Lake, which provides a great opportunity to understand and know the culture here. On the second day, the adventures of ‘Ran Safari’ and moonlight you can enjoy folk music and folk dances that will be held in the glowing Milky Way in the night. In addition to these programs, artists making wonderful handicrafts are often seen to be working in their homes. In the scenic spots of the place ‘Dholavira’, where Harappan represents the civilization, Narayan Sarovar, Koteshwar Temple, Mata No Maand, Than Monastery and Lakhpat fort are famous for the devotees dedicated to Lord Shiva in religious places. After seeing the scene of the battle with the Black Dungar, and after the evening aarti from the Dattatreya Temple in the hill, hundreds of crores of people rush at the voice of the priest and surprise the tourists. It can be reached by air service, rail and road. Bhuj is connected to the Air Services and can be accessed from the major cities of the country by the Air Lines service. Apart from this, Bhuj is also connected to the main railway network of the country. As far as approaching the road, it is easily accessible from the major cities of the state. The advent of this Utsav is so much that the tourists come with a package tour here. Be the first to comment on "All You Need To Know About Rann Utsav In Gujarat, India"